The Nationaal Militair Museum is located at the former Soesterberg airbase and is a successor of the former Militaire Luchtvaart Museum and Legermuseum. 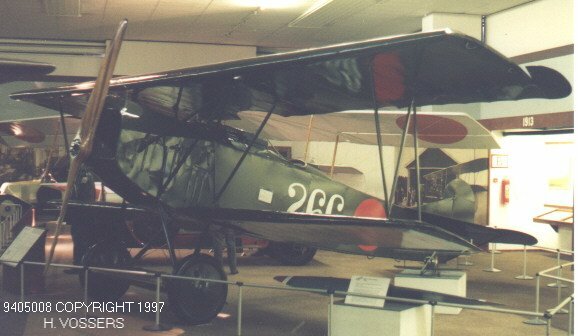 This D.VII, with c/n 2523, is one of the 142 D.VII’s shipped to the USA after World War 1. It was registered on the US civil register, and was used in the movies Hell’s Angels and Men With Wings. After going through several owners, it ended up in the Wings and Wheels collection. From there, it was bought in 1981 by the Fokker company for US$50.000. It arrived at the end of 1981 in The Netherlands, and was transported to the museum a year later. 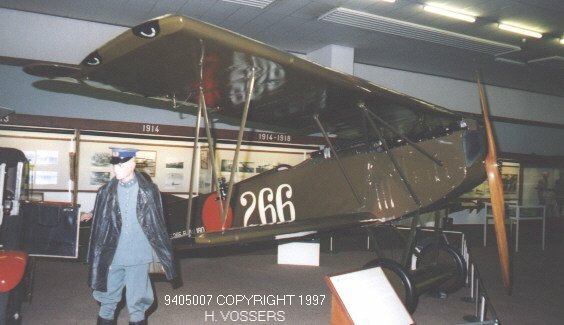 The D.VII was completely rebuilt, and put on display in the museum as ‘266’ from the Dutch LVA. 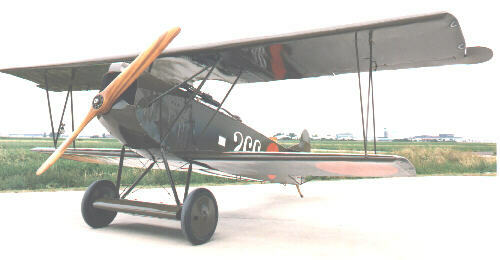 Fokker D.VII ‘266’ after restoration by Fokker just after leaving the paintshop. Fokker D.VII ‘266’ as recently on display at the Militaire Luchtvaart Museum.